Home/Archive by Category" Vaccine Safety"
By now the flu-shot propaganda machine is in full swing. The truth is we can’t go anywhere after summer folds its tent without being bombarded with a pitch to get one of these jabs. Will that needle poke be the extra insurance you need to stay flu-free throughout the holiday season and the winter months ahead? Before you run out for that shot, however, there are some things you should know – a bit of flu vaccine history that you won’t be hearing from the CDC, the CVS, your local health department and most especially Big Pharma. To listen to CDC experts talk about it, skipping your yearly influenza vaccine is as risky as crossing the Grand Canyon on a tightrope. And if you’re pregnant, or a bit on the older side, it’s even more dangerous to go flu-shot-free! But where, exactly, is the “proof” that this mass campaign to get everyone inoculated is keeping us healthy? That’s what a pair of professors – pro-vaccine pediatricians, no less – at the University of Rochester wanted to find out. Drs. Eric Biondi, and Andrew Aligne (who is also the Director of the Hoekelman Center at the University), took a good long look at the record of flu vaccines over the past century. And what they found is more than enough to give you reason to pause before you roll up your sleeve. You wouldn’t know it by the big flu-shot push that revs up every year, but the fact that there’s no real proof to support this extensive (and expensive) campaign is out there in peer-reviewed and published data… much of it straight from the CDC itself. As Drs. Biondi and Aligne relate the facts, in 1960, for the very first time, annual flu shots were recommended by federal health authorities. That was despite having over a decade (starting in the late 1940s) of experience that hadn’t produced a shred of evidence showing that vaccinating the general public for the flu was keeping people healthy or saving lives. That ‘flu shots for all’ mandate came on the heels of the 1957 Asian flu pandemic, in which millions of doses of vaccines were given in the U.S. – later found to have “no appreciable effect” in stemming the tide of illness or death. The theory back then was that the immunization campaign’s failure was simply a case of “too little, too late.” If more people were vaccinated in a timely way, the idea went, then the shot would surely work better. But that plan also turned out to be a dud. In 1964 the head epidemiologist at the CDC published a paper in which he “reluctantly concluded that there is little progress to be reported.” Should widespread influenza shots “be continued without better evidence” to justify the cost, he asked? But it was the 1976 “Swine Flu Fiasco” (as it was dubbed by The New York Times), that should have been the swan song for the widespread public acceptance of a yearly flu jab. Not only didn’t a pandemic materialize, but the shot to prevent it appeared to trigger an epidemic of the paralyzing vaccine side effect known as Guillain-Barre syndrome (GBS), in which the body attacks its own nerves. (Interestingly, before Pharma would release any vials of flu vaccine that year it demanded that the feds protect drug makers against any claims of adverse reactions from the shots – what’s known today as the Office of Special Masters of the U.S. Court of Federal Claims (a.k.a. the “vaccine injury court”). Okay, so that was then – the dark ages of medical knowledge. In the more recent past scientists learned how to make a better flu shot, right? But it’s obvious that, proof or no proof, not only is this yearly ritual firmly entrenched in mainstream healthcare practices, but any professional who dares to question it is taking a big chance. Needless to say, Dr. Neides is no longer with that organization. Of course, you could argue that even a smidgen of protection is worthwhile, but that’s another flu-shot theory that doesn’t hold water considering the risks involved, which range from agonizing shoulder pain known as SIRVA (shoulder injuries related to vaccine administration), to allergic reactions, headache, fever and nausea (the last three considered “common side effects” by the CDC). And along with the “toxic burden” Dr. Neides referred to, you should know that there are more settlements out of the vaccine injury court for flu shots than any other inoculation, with the most reported one being for GBS. Certainly having the flu is no walk in the park, and yes, it can result in serious, even deadly, complications in some people. All of which is why keeping your body well-equipped to fight it with proper sleeping habits, a daily dose of vitamin D – along with other immune-boosting supplements, nutrient-dense foods, and frequent hand washing – will do more to keep you flu-free than anything Big Pharma has yet to offer up. Mark your calendars for a free online event that is a must for anyone trying to make informed decisions about vaccinations. According to the Centers for Disease Control, 140 people from 7 states contracted measles between late December 2014 and Feb 27 2015. The outbreak is believed to have been caused by a traveler who became infected overseas with measles, then visited an amusement park in California, exposing dozens of others. While no deaths have been attributed to the outbreak, media is fueling fear about an epidemic. Our chiropractor friend, Dr. Tedd Koren, DC — author of Childhood Vaccination — recently wrote an article discussing what is behind the current measles outbreak, how dangerous the disease is, and whether vaccinations do more harm than good. In support of choice and the interest of providing the public with important information often overlooked by mainstream media, we think it is important to bring this article to your attention. Click here to read the article and become better informed about the growing concern over measles and vaccines. Citizens Chairman Jim Turner will be a speaker at The American Rally for Personal Rights on May 26, 2010 taking place at Grant Park in downtown Chicago. Please show your support and attend if you’re in the area. Check out www.americanpersonalrights.org for more info. Last Thursday afternoon, The General Medical Council in London, England announced its decisions in the disciplinary hearing of Dr. Andrew Wakefield, Professor Simon Murch and Professor John Walker-Smith. The ruling was not in their favor. There will likely be other posts here at HuffPost explaining the legal machinations of the GMC hearings and science behind the original The Lancet paper, now retracted. Be sure to look for David Kirby’s post on the topic. If you’re interested, you can read an eye witness account of the proceedings from Martin Walker, who has followed the GMC hearing from the start. I’d like to provide the voice of an autism Mom, hoarse from yelling into the wind for a cumulative total of thirty seven years. You see, I have three daughters with autism, ages 15, 13 and 9. Autism isn’t an abstract battle ground to me. I don’t write about autism to gather virtual high fives from a like minded community or to protect an industry or my own turf. My family eats, sleeps, breathes and ultimately, will die, with autism overshadowing every move we make. When did autism go from a rare diagnosis to a disorder that affects 1 in 110 children but still warrants little to no medical care outside of psychiatric drugs and behavioral therapy? An autism diagnosis can erase a person’s ability to get solid medical care. If you brought your six year old to a hospital in the throes of a seizure, the neurologists would run tests and look for the cause. When I brought my six year old, I was told, “She has autism. She has different circuitry.” And then when I requested tests, I was told, “We’re just not that aggressive with autism.” My child has a brain and a gut and an immune system just like any other child. Why does her autism negate that? Fortunately, there are doctors like Andrew Wakefield and others, most of whom prefer to keep a low profile as you can imagine, who can look past the behavioral diagnosis to the thrashing or sobbing child and his haggard Mom, exhausted from cleaning up bathroom accidents or cajoling a grapefruit sized BM from her anguished child every few days. I implore you to consider the patients. Remember the children, young adults and older persons with autism for whom GI disorders and other medical conditions are a very real problem. We need a thousand doctors like Andrew Wakefield, who are willing to risk their careers and reputations in order to find out what is happening to our children and how to heal them. That’s what physician scientists do after all. Help and heal. H1N1 and seasonal influenza vaccines are now being given to sick hospital patients with or without their doctor’s consent. This is being done despite there being no data on the safety of doing so. I am a licensed, board-certified nephrologist, otherwise known as a kidney specialist, working in a large, city-based hospital. Because I rarely admit patients to the hospital other than for specific procedures, such as a kidney biopsy, I only recently became aware of my hospital’s policy regarding flu shots for sick people. Waking up to this new rule made me realize that Big Pharma is getting closer and closer to bypassing doctors completely to deliver direct patient “care”. We have an elaborate electronic charting system at our hospital. All of the medications and procedure orders are placed into the patient’s record by doctors and nurses so that every person has access to all that is happening with the patient. A few weeks ago, I arrived to see my first patient of the day, a patient with a kidney ailment that leaks protein and usually progresses to complete kidney shutdown. When I opened her electronic chart, I expected my section to be empty. Instead, I saw an order for an influenza vaccine with my name on it. Even more shocking was that the order was highlighted bright blue, meaning, the shot had already been given. I thought perhaps I had opened the wrong chart or some sort of mistake had been made. But it was the right file; her name in the upper left hand corner. And my electronic signature was on the page after the order. My patient, with kidney failure and an autoimmune disorder had been given a flu shot without my consent. I was informed that according to a hospital policy that had been in effect since 2007, a pharmacist is permitted to visit a patient and offer them a flu vaccine. If the patient agrees, the RN is instructed to administer the shot and document the event in the chart. The attending physician’s signature stamp is used to complete the order. No one called to ask, “By the way, your patient wants a flu shot; can we give her one?” I’m not sure what was said to her, but she obviously agreed, and I didn’t need to be involved. The pharmacist had written an order for an injectable substance that I considered toxic and inappropriate for my patient, and it was administered by the RN before I even got to the floor. My dissatisfaction eventually made it to the Chief of Internal Medicine who challenged me to produce peer-reviewed journal articles in support of my objection. There were dozens of case reports of kidney disease or small blood vessel inflammation following influenza vaccination. In fact, one paper cited 16 patients in its written report(1). Under-reporting of adverse vaccine reactions is a known phenomenon. The National Vaccine Information Center estimates that only about two percent of adverse vaccine reactions ever get reported. It would follow that written and published case reports found in medical journals represent a miniscule sampling of the totality of vaccine injury cases. These implications should evoke at least some curiosity on the part of doctors and health care advocates. The peer-reviewed literature was delivered to the department head. His initial response was to suggest that future vaccination orders be signed off by another physician so I didn’t have to be involved with the process of a nurse giving a “routine” flu shot. But the point had been missed; flu shots should not be given to sick patients. I was challenging “routine orders” that had been in place since 2007. The defense for supporting the policy was that no side effects had been reported since the standing order had been instituted. I wondered to myself and then later inquired: How do you know that is true? Is it because nobody filed a formal report? If a patient became more ill after the shot, did you consider his condition to be a side effect of the vaccine, or was it simply called an unfortunate complication to the patient’s current illness? What if the patient was discharged from the hospital but readmitted several weeks later. Was the reason logged simply as a progression of his existing disease…or was the cause an overlooked, delayed side effect of the vaccination? If vaccine reactions are not considered as part of a patient’s differential diagnosis, how do you know? 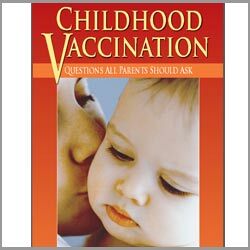 Without taking a vaccine history when considering a timeline of events, how could anybody possibly make the connection between a vaccine and a subsequent illness? How does anyone else know for that matter – that there were no side effects from the “routine” administration of flu shots, ordered by a pharmacist and given by a nurse, without doctor consent? The truth is, there is no real tracking and reporting system in place. And nobody is enthused about trying to start one. What has essentially happened is that the guards have all been told to go home and nobody is thinking to even look for the wolf. I am sure there are thousands of unreported cases of kidney failure – and a wide range of other serious health conditions – because doctors fail to ask a very simple question as part of the admission evaluation: “When was your last vaccine?” And few doctors suspect any connection because the party line screams, “Vaccines are safe, effective and harmless. They keep people healthy and prevent infection.” If nobody looks, vaccine-related side effects and complications won’t be found. There was a law passed in 1986, the National Vaccine Injury Compensation Act, that made vaccine manufacturers and administering physicians immune from legal recourse in the event of a vaccine injury. This has given manufacturers a dangerously long leash and has enabled them to push vaccines through FDA approval with little need to create a safe product. Now drug companies have extended their reach into the hospital right past doctors, and put the power to vaccinate in the hands of pharmacists and executive committees, allowing them to make decisions about what is best for a patient.